What better time than to look at your visual requirements? Perhaps your eye sight has changed over the year? Do you feel that you require alternative or perhaps additional help with your day to day reading and visual needs? At Independent Vision we have a range of potential solutions; many of which are on our website. 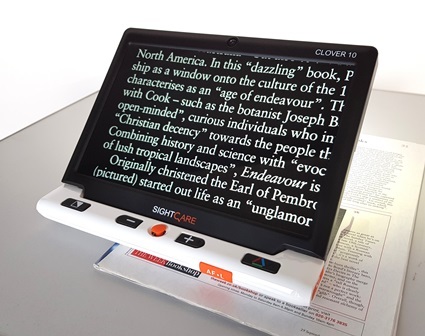 From 7″ portable machines through to 24″ desktop machines and smaller reading machines to larger combination machines that both magnify and read aloud. 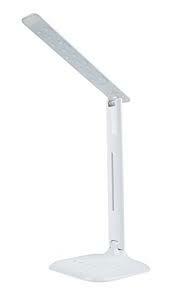 We also have a LED Touch Desk Top Lamps that can help contribute to an easier day. Sometimes a change of lighting can be all that is needed to improve your visual ability. Whilst we do not rent these lamps, they are available to purchase. Additionally, by Eschenbach, we can supply hand held illuminated magnifiers of varying strengths. Easily portable in a bag or pocket, these can become a very useful aid when out and about! Again these are available to purchase and can be demonstrated at the same time as a ‘larger’ product. We appreciate that everyone is different. There is no single one fits all solution. We take the time to assess, with you, which products might be best for you and your lifestyle. Why not contact us, request a brochure, or ask us to come and visit you? We will do ask much as we can to help. This entry was posted on Wednesday, January 16th, 2019 at 11:56 am	and is filed under Uncategorized. You can follow any responses to this entry through the RSS 2.0 feed. Both comments and pings are currently closed.